pail unloaders,adhesive dispensing systems,and custom machining. the industry in performance and reliability. 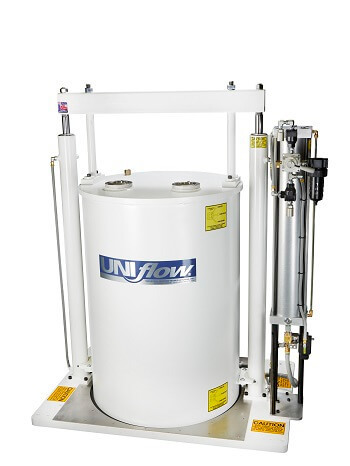 Uniflow® Degassers dependably remove gas bubbles from uncured silicones, liquids, resins and adhesives in 55-gallon drums. 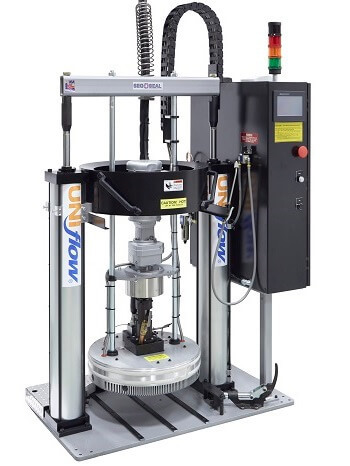 Hydraulic lifting and lowering of the vacuum chamber makes them easy to use.